Our entire management and staff at Cricket Ventures would like to thank all of our customers and vendors for a wonderful 2017! Directed and hosted by Buy Two Way Radios Product Manager Rick Savoia and produced by Cricket Ventures, LLC, Radio 101 takes basic radio Q and A to the next level. The new Radio 101 videos begin Wednesday, November 29, 2017. New episodes are released each Wednesday morning. This month we are excited to introduce an all new design for our Banoggle site for fall 2017! From now through Friday September 8th, 2017, you can trade in your old business radios for credit towards a new EVX Series digital Vertex Standard radio sold at Buy Two Way Radios! We produced an unboxing video of the unit complete with an audio sample. The TYT MD-9600 Dual Band DMR Digital Mobile Radio unboxing video is now available to view on our Buy Two Way Radios video blog and YouTube channel. Thank you for visiting the corporate web site of Cricket Ventures! We are a small internet retail company based in South Carolina. Our goal is to develop web sites specializing in very specific types of products. Because we specialize in specific types of products, we can become experts in these products and offer our customers unmatched support. Currently we operate several retail sites, including: Buy Radar Detectors, Buy Two Way Radios, and Banoggle.com. BuyRadarDetectors.com was our first web site, and it has been an amazing success. Since launching in July 2002, we have shipped thousands of orders to both retail and wholesale customers throughout the world. 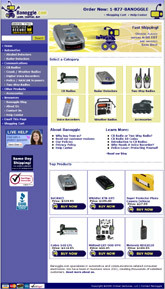 BuyTwoWayRadios.com launched in September, 2003 and has been extremely successful. 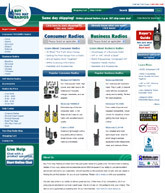 This site has quickly become the largest internet dealer of hand held business and consumer two way radios. 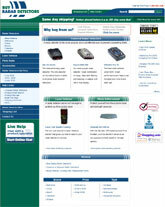 Banoggle.com launched in the spring of 2006 and offers a variety of products. Top sellers include alcohol detectors, CB radios, police scanners, weather radios, and voice recorders.